She dropped her beads in the sand. So the girl cried. For one hundred years, the girl searched the sands. They might be in the ocean, not in the sand. So the girl cried. For one hundred years, the girl searched the ocean. They might be in the mountains, not the ocean. So the girl cried. How many years will pass before the girl wonders if she really dropped them? Spoiler-free general discussion topic for Chapter 5: Maekashi of Higurashi When They Cry. Chapter 5 refers to episodes 16-21 of the first anime series. 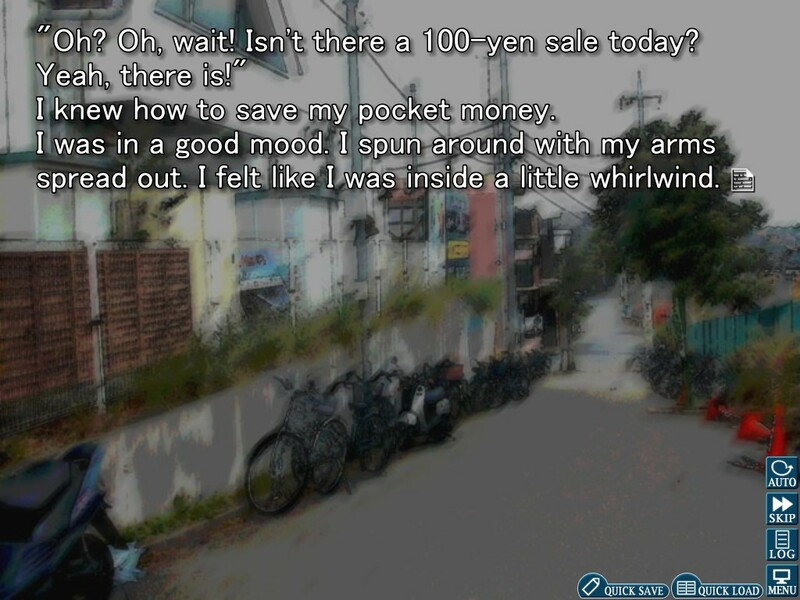 Ah, my favourite Higurashi chapter, this new Steam release truly is quite exciting. I’m curious to see what newer fans will think in regards to how everything in the story ties in together after reading it, especially since Meakashi reveals just enough so you know a little bit more, yet the most important parts remain unrevealed. Very much looking forward to the theories! Playing this for the first time, so pls no spoil. But we don’t have another place where we can post our partway impressions, so here goes. Okay only partway through Chapter 3 so far (as in, Ch. 3 of this chapter), and man I already know Shion and Satoshi’s relationship is going to wreck me. A heads-up: the achievements have (vague) spoilers! Found out the hard way. Found any clues, thus far? Any theories you’d like to share or is it still too early in the game? Probably way too early. But man, Watanagashi was my favorite arc so far thanks to Shion, so I’m practically screeching in my head during every single moment of this chapter. edit: That classroom quarrel… fuuuuuuuuuuuck. Wasn’t expecting this arc to get serious this quickly. I welcome it, but still. Fuuuuuuuuuuuck. edit 2: Theory 1: The corpse at the beginning of Tatarigoroshi was murdered by Shion (or at least at her command/will) to get back at Teppei. edit 3: and I thought that Watanagashi’s ending got harrowing. The fingernail removalscene in this one… HOLY HELL. Sorry for double posting, but I just finished the arc. Didn’t feel as long as it should have. I don’t really know what to think, but it really shat on my impression of events from Watanagashi. I also now feel like Keiichi really isn’t a central character as to what’s going on. I’m not even sure what the mystery is beyond the perpetrator of the curse now. 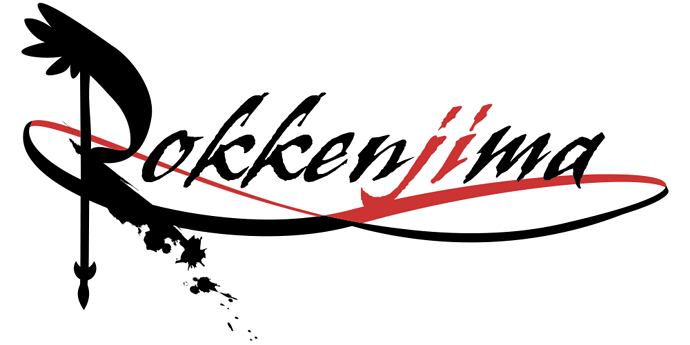 Looks like it might be a repeat of Umineko for me where I just feel unable to come up with new theories as the story goes on. AFAIK the next chapter is the answer arc for Onikakushi, so I’m planning to replay part of Onikakushi to get a handle on what could be happening. I feel that I didn’t enjoy it all that much overall, though. I don’t know why. One thing I will say is that Rena was right in Ch. 2’s After Party: Watanagashi’s events really were a case considering the Sonozakis were not the culprit. That remark stuck with me somehow still, but I don’t know what that remark means for Onikakushi and Tatarigoroshi (and Himatsubushi). Hoo boy, I just finished reading Meakashi today. Finally getting some answers feels good. I suppose the very first mystery we’re presented with in this one is “Why did they decide to start with the answers to the second chapter instead of Onikakushi?” And I have no idea on why this would be, other than maybe the answers for Onikakushi would spoil too much. For simplicity’s sake, I’ll be calling Mion and Shion by their previously established names, otherwise things would get too confusing. Anyway, we finally meet Satoshi, and after about 50 hours of the answer arcs drawing parallelisms between him and Keiichi, I have to say… They are not really similar, are they? Particularly because the first mention I remember of him is in Onikakushi when Rena tells Keiichi he’s acting just like Satoshi did before disappearing. I guess we’ll have to wait to see that, because there were very few similarities in this arc. 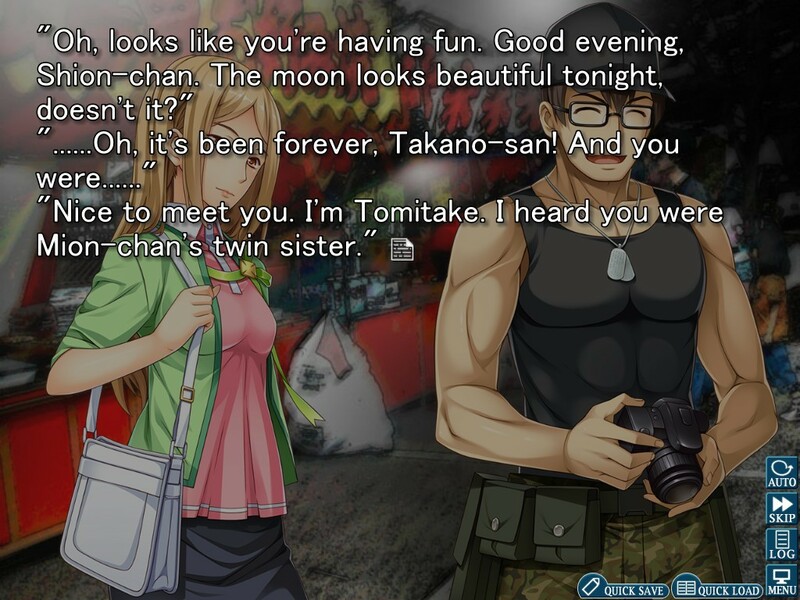 It was fun finally leaving the confines of Keiichi’s mind (other than the short while in Himatsubushi) and see things from a different perspective. Keiichi, as a whole, feels so inconsequential during this arc, it’s almost comical. Specially during the last scenes in the main house and the bunker, seeing Keiichi get it wrong time and time again, poor guy. I don’t blame him, I sort of shared his mindset during Watanagashi, but now we get to see how far from the blank he was hitting. 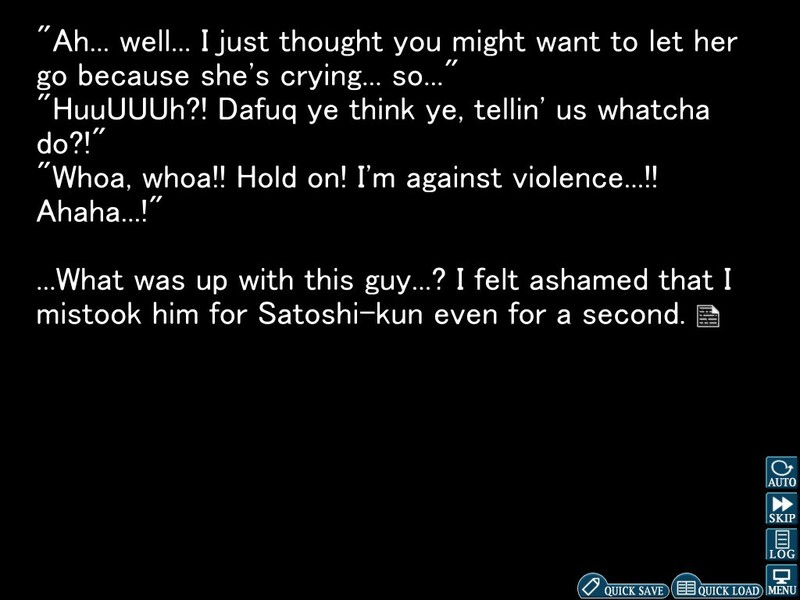 Specially when you realize that Keiichi’s main guilt, the deal with the doll, was really just completely unrelated. Yeah yeah, Shion tried to rope it in, but I doubt things would have gone differently had Keiichi given Mion the doll. She’d have gotten even more jealous, if anything. Shion was pretty interesting as a main character, and I could even sympathize with her on some moments, but I had to draw the line at blaming Satoko. I’m interested in reading your opinions regarding up to what point Shion’s actions were justified. Anyway, this chapter answered a lot, but I feel that the biggest answers we got came in form of narrowing down the list of possible suspects for the actual killings. Mainly, the ones that don’t seem to have been touched at all: Tomitake and Takano. We now know for a fact that the syringe Rika had causes the same effects that Tomitake had. But from Tatarigoroshi, I still suspect that Takano is involved in his death somehow. And we can’t deny that Irye is still the guy with the most likely access to the drug. At any rate, Rika is a very suspicious person since Himatsubushi, and this chapter makes her doubly suspicious. There’s also the issue of Takano being alive even though her death report showed she shouldn’t. Another thing I just remembered. I was going to go about how, well, innocent Mion was through all this arc. She’s a pretty nice girl, afterall, she dindu nuffin. But now I’m remembering the scene in Onikakushi were she has that distinctive hawk-like stare. Could there have been Mion-Shion switches during the other arcs too? Could that have been Shion in Onikakushi? Maybe it would explain why Mion acted so surprised about the needles when Keiichi questioner her later on. Is Satoshi still alive? Porbably not, but hey, his body wasn’t in the well, or was it? Why are the Hojous so despised? I believe there could be more than just the dam incident. Maybe it’s because they’re blond. How much did Rena know during the last scene? She seemed awfully sharp in that scene in the bus stop. Mostly because of the change in her eyes, up 'till now I used to assume that this was related to something more than just an aesthetic change, but comparing Watanagashi and this chapter, we see that some of those sprite changes don’t necessarily signify anything supernatural. A couple happened when Shion was just trying to scare Keiichi, so I guess it might be less important that what I thought it was. How does Ooishi keep getting all this insider information? 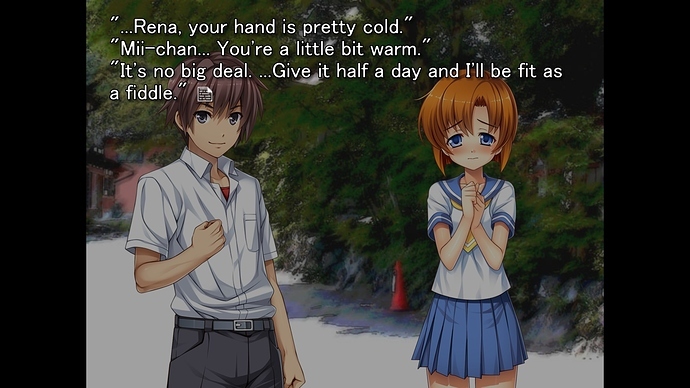 Also, re-reading the epilogue to Watanagashi of Keiichi in the hospital, I found this little detail. Re-reading Meakashi was kinda weird, especially since it’s my favourite arc of Higurashi and how much I especially love the manga-version of it. Because now I have a really hard time deciding which version I like the most. On the one hand it wasn’t until now I fully realized how many things there are that didn’t go through to the manga, especially some of Shion’s inner thoughts (like her mistrust of Rena) and how she kept wishing for K1 and Rena to actually figure out the switch and constantly heckling them in her mind over them not being able to. But on the other hand I also realized how much the art in the manga pronounces the tragedy and the emotions in the story. I don’t have the manga on me a.t.m. so I might not remember it correctly but for example, in the manga when Ooichi and the other police are discussing Shions notebook, the way Ooichi looks when he say’s that it is a happy notebook is wistful and sad, like he was fully aware of how far Shion went just for love. 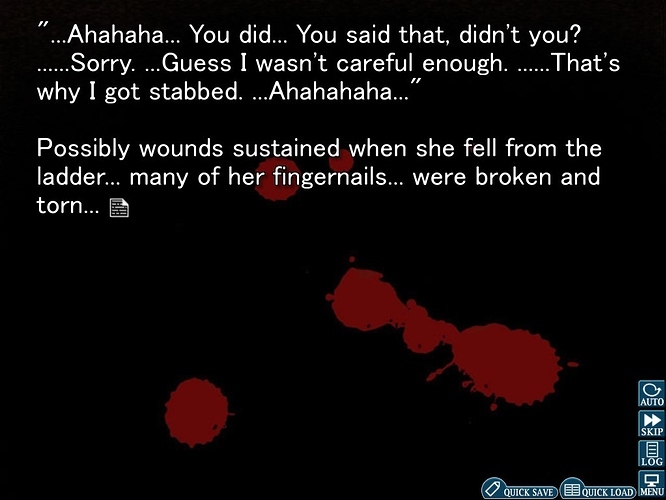 I admit I read that part in the VN pretty late at night and rushed through it a bit but I never got that feeling from the same part in the VN which I felt almost hurt the scene a bit. There are also other things that’s changed to the manga that I feel pronounces the tragedy even more. For example how Shion’s dream of everyone playing in school is shown during her suicide as she’s falling towards the ground while asking if it’s okay for her to have that dream only for it to cut to that powerful and heartbreaking shot of her body lying on the ground. While it works to have her falling and hitting the ground, her asking if it’s okay to dream for something different and the dream, side by side it doesn’t feel as powerful for me (on that note, I’m a bit disappointed that they changed the placement of “I’m sorry, for being born” in this rerelease, in the original release I think they had a pretty large gap between it and the sentence before which only further increased the impact, here it just felt a bit rushed). So while I love how the VN brings us so far into Shion’s mind there’s something about the manga that further expands on the tragedy. But speaking of Shion’s mind I really like the question Ryukushi wanted to ask in this episode: To what point can you sympathize with a murderer? Because its something that has come up again and again throughout the series, like in Tatarigoroshi when Keiichi killed Satoko’s uncle, and to have Ryukushi ask the same question while we’re following someone willingly committing murder is to me one of the biggest sign of how good a writer Ryukushi is. And while we lose some of that sympathy when Shion kills Satoko I still feel that I can understand her and her actions even though they are clearly wrong. And then when she realize what she did wrong and chose to commit suicide it’s difficult to not feel pity for her and to hope that she will be able to fulfill her wish and do better next time. In fact I think that’s one of Ryukushi’s true skills as a writer, to be able to write a character that does so many bad things while still making them human enough that you, as a reader care about them. That’s in full effect in this episode and that’s probably why it’s my favourite episode and why Shion is my favourite character in Higurashi. Totally agree. The Higurashi manga is incredible in general and I adore Yutori Houjou’s execution of Watanagashi and Meakashi. I also daresay I prefer the manga version of the final scenes. Wow. I just finished reading meakashi for the first time. This chapter instead of making me sympathize with Shion just made me feel sorry for Keiichi. He had no clue what happened to his friends. All his anxieties seem artificial in retrospect. I understand the her loss and given the isolation it’s understandable to latch onto Satoshi. It was a tragic life story, but the murders in this chapter were so unreasonable. I can understand the previous killings of the abusive aunt/uncle but the crimes of this chapter were so selfish. I loved this character in watanagashi, but now I feel that was completely misplaced. Upon reread I realized this chapter’s poem is so important. I missed the little things like the poems upon my first read, but upon reread I understood the meaning behind the poem. It really captures Shion perfectly, and her feelings towards Satoshi. For her, it was an eternity waiting for him to come home (this applies to Satoko too). Shion’s such a good character. And the poem of Meakashi perfectly captures her struggles with her feelings, and her inner demons. So there was the idea to kind of do live impressions and reactions as posts for a change, and since I was doing notes and PMing such reactions to @Karifean already, I thought “Why not do that in this topic?” As such, I haven’t finished Meakashi yet and thus won’t read the topic yet, so I might repeat stuff others have said. But before I start with my reactions, let me quickly point out where my current thoughts about the truth stand. For the murders that only happened in Watanagashi, I am more siding with the “Shion did it” theory, points for both sides were already argued in detail in the Watanagashi topic and it’s podcast, so refer to those if you have forgotten what those were. My reason for believing in the Shion theory is mainly that I can see a motive for all the murders that happened (except Tomitake, but that was neither Mion nor Shion, so doesn’t matter). Furthermore, I currently subscribe to pictoshark’s idea of a timeloop existing in Higurashi. So once I started, it became immediately aware that the music got way better. It’s now on the level that I can see myself listening to the OST. Next reaction is when Shion was explaining the meaning of the names Mion and Shion. This one actually gives an alternate explanation for why Mion might refer to Shion as ‘Mion’ at the end of Watanagashi, one that doesn’t require her to be broken. Namely, Mion considering her sister as cruel enough to deserve the demon character in her name, thus calling her Mion. Basically a hidden insult. For the next one, I’m introducing the Five Second Prediction. Basically me predicting an event that’s going to happen in the next few sentences. For this first one, Shion just had an idea for how to earn money for herself and wanted to call Mion. I predicted that Mion started helping her uncles so that Shion can pose as Mion to earn money for herself. And a few sentences later, I was right! Hmm. Shion doesn’t like canned food because of a horror story that Kasai told her. Might that be the history lesson of human meat we heard near the end in Watanagashi? If so, another point for the “Shion did it” bracket. Five Second Prediction: Shion’s gonna enrage some thugs and is going to be saved by a bunch of people from Hinamizawa. Guess I was kinda right with this one. Nice subversion of expectations there, and a good introduction to Satoshi. Also, since those guys weren’t arrested, I wonder if they’re actually the same thugs that Keiichi angers a year later. Next, a minor complaint: Satoshi’s diary really isn’t written like a diary. Basically the same problem that some games do with letters or some such. Next thought came when Rena talked about Satoshi hearing an extra footstep behind him. This basically disproves picto’s idea of that being a symptom of the suicide drug, as he put it. So are we going back to assume that this is a fantasy element? Or do we have a differennt satisfying explanation? Also, as an addendum, if we can answer the following lime (if it doesn’t get answered later anyway), we might be able to get some more knowledge on those footsteps: What is common between Ch1 Keiichi, Ch3 Keiichi, Rena, Ch2/5 Shion, Ch2 Tomitake and Ch5 Satoshi? Next one is when we get a glimpse at the Watanagashi in 1982, when Rika assures Satoko with certainty that her aunt is going to be gone for good. This is basically another strong point for the timeloop theory, especially as it is strongly hinted that Satoshi indeed killed his aunt, and he couldn’t have planned that in 1978 already. Next one, Re:It would be bad to make up an alibi (for Satoshi) on the spot: In Tatarigoroshi, Mion fixed her error and prepared an alibi for Keiichi. 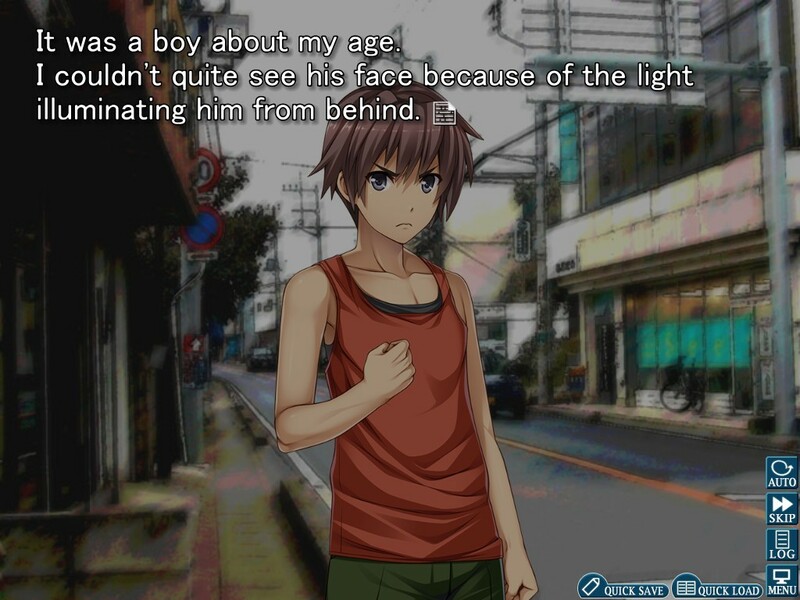 This is why there are so many people confirming Keiichi being at the festival. If one subscribes to the timeloop theory, the following addendum can be made: Rika gave the main idea for the story they’d tell, using her memories of an earlier loop, this is why the description of Keiichi enjoying himself is suspiciously similar to what happened in Onikakushi. How does Ooishi know of Shion’s “payment” (the fingernail cutting), you ask? Remember, he has a contact (seen in Himatsubushi). Re: Someone else might have bought the teady bear: Might the teady bear that Keiichi wins in Onikakushi and gifts to Rena be that same teady bear that Satoshi planned to buy? And the last one for now, Shion is currently contemplating if someone might have planned the incidents long ago and only recently gave Satoshi the idea to kill his aunt. Definitely another possibility, and the one one would have to come up with if one sees Rika’s prediction as meaning everything was already planned in 1978. I will admit that Questions did have some memorable tracks, it simply has a high percentage of songs that I would probably skip when listening to the OST as well, though. I finished reading Meakashi on Steam for the first time a couple weeks ago, and I have several mostly independent (I think, though some could turn out to be tied together) thoughts on this arc. Also, only some of the mysteries of the second chapter were actually solved explicitly in this one. A couple, especially the mystery of Rika’s syringe, were actually expanded upon—that one in particular seemed to go from odd and intriguing to completely bizarre and essentially screaming challenges to make sense of it. The mystery of the noise heard at the storehouse remains as cryptic as ever, which I probably should have expected to some degree given that Shion is the one who was confused and worried about it in the first place back in Watanagashi. This fever is just odd to me, and doesn’t seem to be evidently connected to anything. My memories of it are vague, but I think someone noticed Satoko in Tatarigoroshi was rather warm. I can’t seem to find it, though, so I might be misremembering. 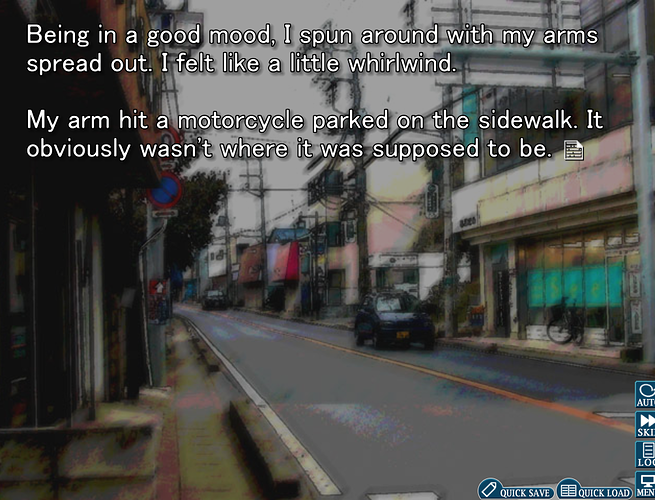 Actually, come to think of it, Keiichi died of a sudden high fever in Tatarigoroshi, and both he and Shion had been hearing an extra footstep around those times. I’m guessing this is Keiichi. Also, this is either different from Watanagashi or we’re seeing a scene we never saw in that chapter. If it’s different, then this is actually a new timeline that’s just very similar to Watanagashi, if it’s a scene we never saw, then everything could still work. Depends on wether Shion is about to introduce herself as herself or not, really. I tightened my grip on the stun gun in my pocket. While one were inclined to see this as another point for the “Shion did it” theory, it really could be both, as Mion could just as well have disarmed Shion later on and got her hands on the stun gun that way. Okay, Mion just told about Keiichi not giving her the doll, so we’re back on track for this to be the timeline from Watanagashi. I guess I’ll edit my earlier lime in accordance to this. After all, in Watanagashi, Keiichi met both Shion and Takano one day earlier, so saying “It’s been forever!” wouldn’t make much sense. Or am I just dumb and seriously misremembering things? Yea I think it’s definitely a different timeline. 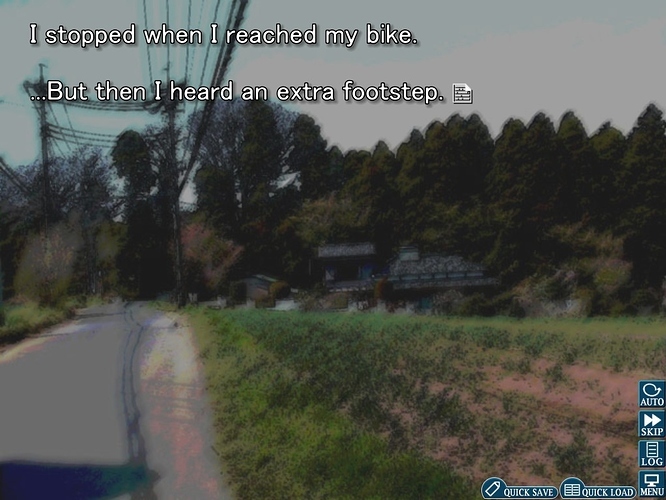 Since if i recall correctly, in Watanagashi, Keiichi was the one that kicked the bikes down and was saved by Shion and not the other way around? Has more impact this way by Keiichi mirroring Satoshi (sort of) though. Not sure what this means. Good catch on Shion not going to help out with festival preparations this time too so not meeting Takano recently.